I'm a big believer in Natural Beauty Treatments, and this is one of my absolute favorite! 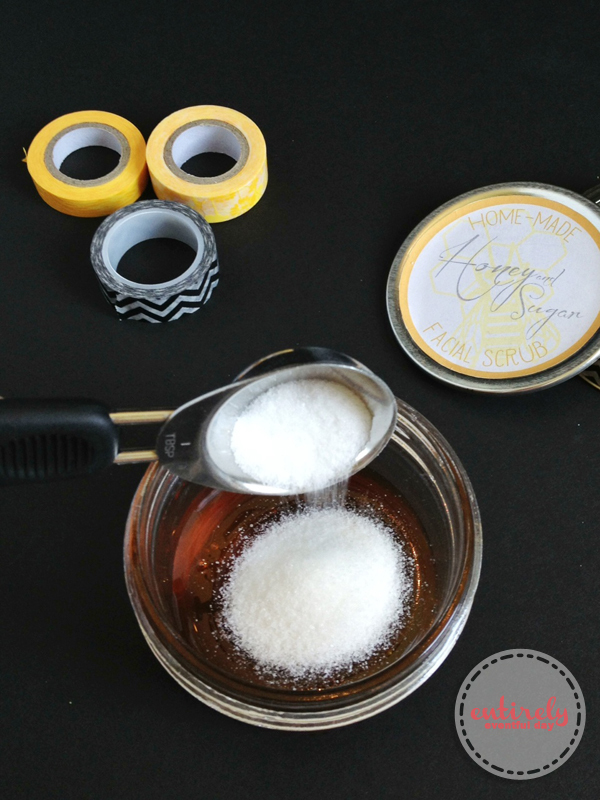 There are a lot of sugar scrub recipes out there, and all I have tried are great. But this one (which I'm pretty sure I invented) is the best, best, best! 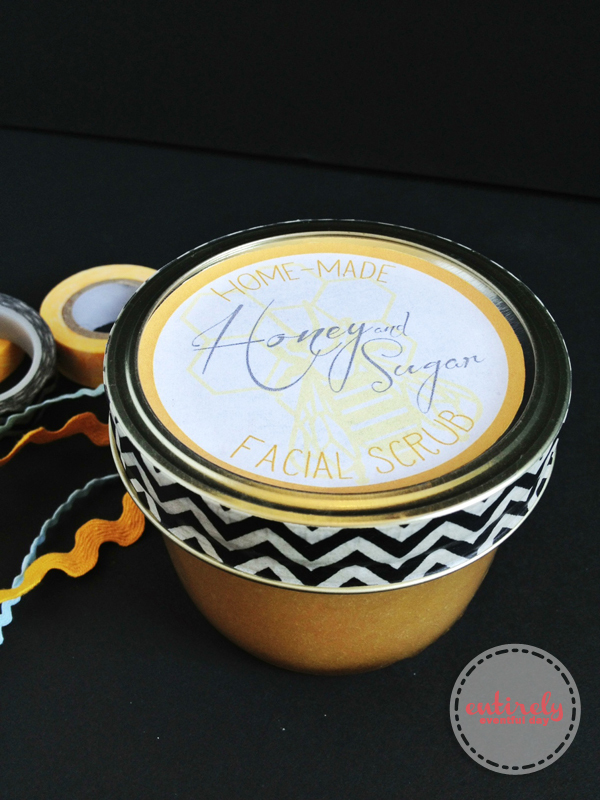 If you have never tried a honey facial, I highly recommend it. I'm not lying when I tell you that as I sit here typing this my face is covered in honey! 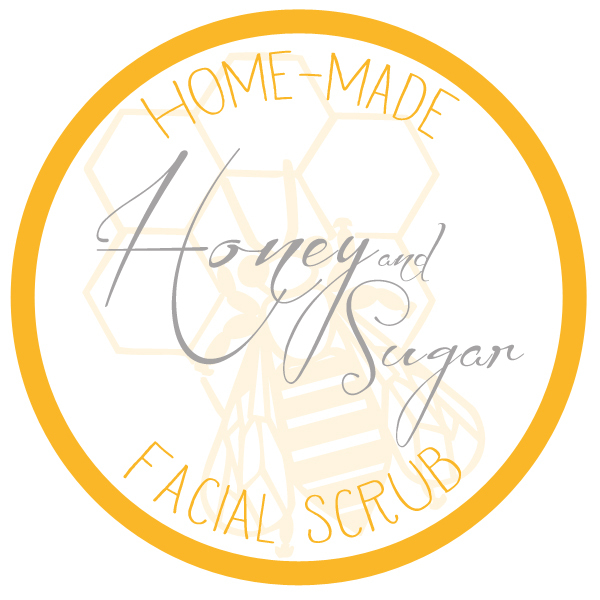 Turing honey into a scrub is just a little bonus to all the benefits of slathering honey all over your face; it is sooo moisturizing and soothing. You can either make it as you go (which is what I usually do) or you can make a whole batch and package it up cute (I even created a little printable label for you). 1. Use new-ish (not old and gooey) honey (the honey in the squeezy bear bottles works best because it's so soft). Fill a container 2/3 full with honey. 2. Add white granulated sugar a tablespoon at a time until you achieve the right consistency. 3. 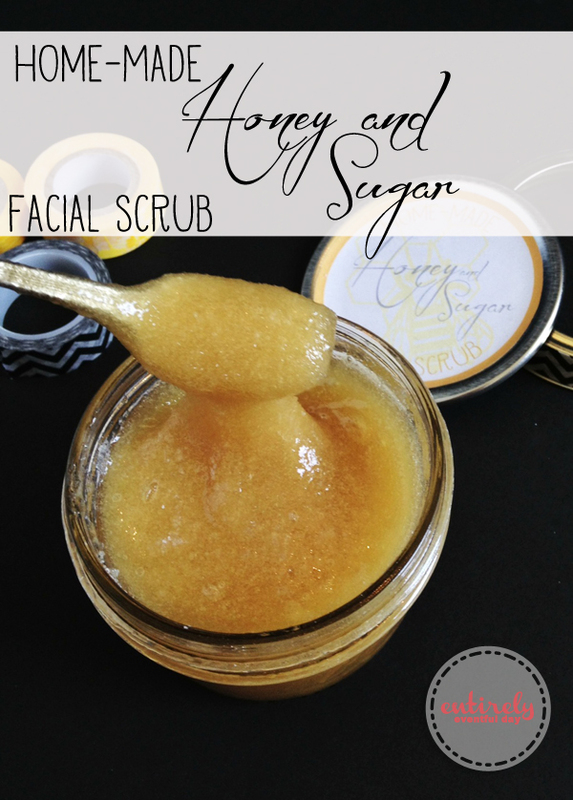 Use as you would use any other facial scrub to exfoliate your face and neck (don't scrub too hard). 4. Leave the honey mixture on your face for 5 minutes to receive the hydrating benefits. The printable label is formatted to fit the lid of a mason jar. I used one of the short Mason jars to package mine. It turned out so cute. 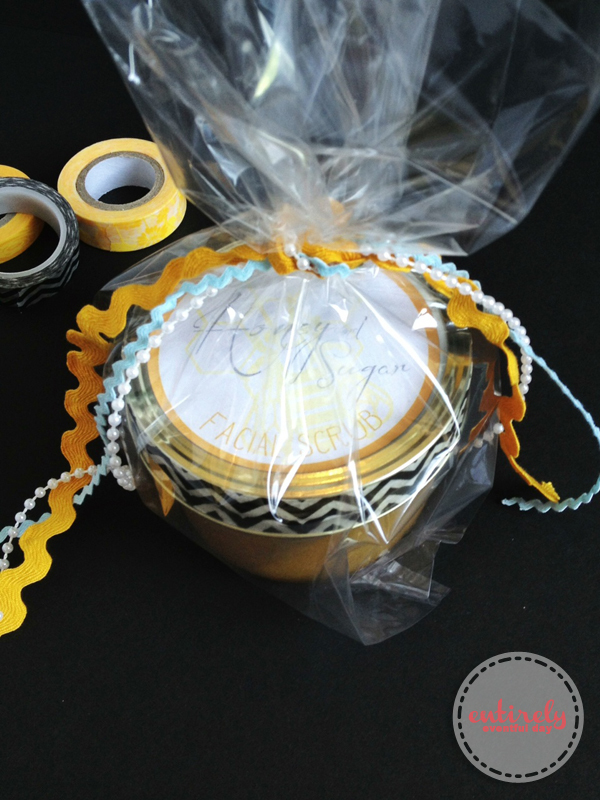 I also wrapped a little washi tape around the outside of the lid. I was happy and surprised to find that it was the perfect width! Bonus! This is a perfect gift idea! You're friends will thank you. Package it up cute and give it away. Go here to download a high-resolution version of the darling printable label. Also, check out my other free printables.